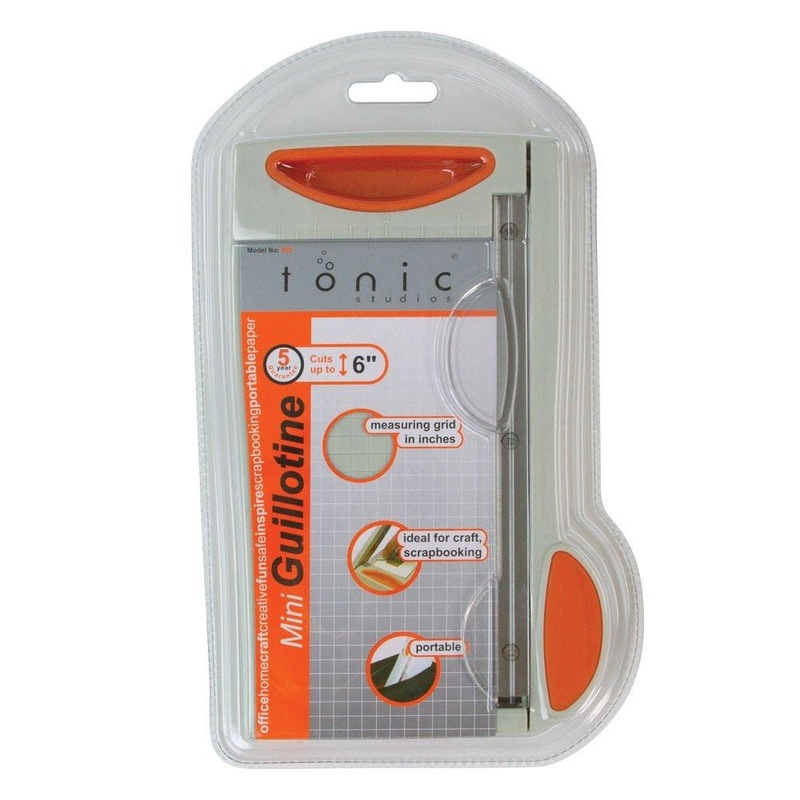 The 6" Mini Guillotine trimmer has all the quality of the larger product but in a 6" cutting length. Hardened steel precision ground blades. 6 inch / 15cm cutting blade length.